Michael Weiser, president of GFI Realty Services, discusses why rent-stabilized communities might actually be a good investment. 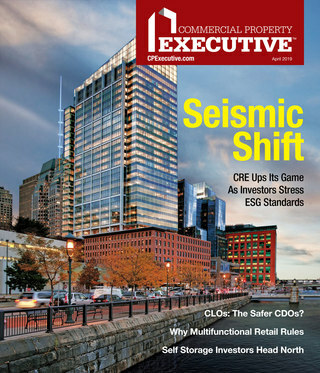 New York—New York City’s strong multifamily market is creating some unusual trends and unprecedented opportunities for sellers to capitalize on their investments, says Michael Weiser, president of GFI Realty Services Inc. In a recent interview with Multi-Housing News, Weiser talked about the impact of rising prices for apartment properties, and the spillover effect on what were previously less-coveted assets and neighborhoods. Two potential winners: rent-stabilized building owners and Bronx landholders. Weiser joined GFI Realty in 1996 and has been president since 2011. He has a strong industry track record handling mortgage originations, as well as property acquisitions and dispositions. Today, Weiser manages the day-to-day operations of GFI’s Investment Sales & Financing division. MHN: What’s your take on the current state of the NYC rental market? Weiser: Around South Slope, Ditmas Park, Windsor Terrace, even Crown Heights in South Brooklyn, you’re starting to see two-bedroom rents jump so high that $2,400 a month is a bargain. Landlords can get $2,500 to $2,700 a month, and that’s driving interest from investors. 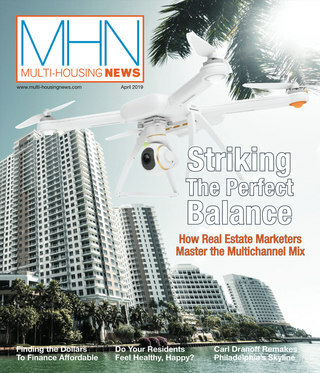 MHN: What trends are you seeing in the multifamily space right now? Weiser: We’re seeing more and more pockets of money that are willing to pay up for rent-stabilized housing. Everyone has been talking about this for a long time, and we’re now seeing individual transaction activity that supports that. MHN: Where is this taking place? Weiser: Parts of upper Manhattan, Brooklyn and Queens (though there’s little activity there). In the Bronx, though, we’re seeing a totally different type of activity. MHN: Why rent-stabilized housing? Hasn’t it typically been considered a challenge to recoup investment value? Weiser: When you’re a developer you pay $200/sf for land, and then you need to build. If you can buy a rent-stabilized building for under $300 a square foot, it seems like you are getting the building for free. Yes, it requires some patience to recognize the upside because of the stabilized rents, but the inherent value is there, and while you have to wait for it, it’s not a question of if the rents will go up, but when. MHN: What’s going on in the Bronx? Weiser: Because rents are rising so much in Upper Manhattan and in other areas, developers are now buying land in the Bronx for development. Land there has increased from $40/sf to $70. You can’t buy anything in any of the boroughs for anywhere near that. Even in East New York, you’re paying more per square foot. MHN: What does the cost of construction look like? Weiser: People are saying, well, if I can buy land at $50/sf and can build for $250/sf, plus or minus, I can be in brand-new construction for $300 to $350 per square foot. MHN: What type of projects will they build? Weiser: They’re planning to build market-rate, whether it has to have an affordable component to it or not. It may make sense for developers to build with an affordable component, depending on the tax abatement that’s available – that would be a decision they’d have to make. MHN: And what type of rents can these projects expect to attract? Weiser: You can build a beautiful project in East New York, but I’m not sure you can get someone to pay $2,500 a month, even for a brand-new two-bedroom there. But I’m pretty sure that if I go to parts of the Bronx that are two-three subway stops from Manhattan, people will pay that all day long. MHN: Who is interested in these opportunities? Weiser: We’ve seen several owner/operators of multifamily, who have historically not been developers, looking at taking positions in land in the Bronx, because it’s an equation that makes sense to them. MHN: In regards to the sale of rent-stabilized properties, who are the buyers snapping those up? Weiser: There are a lot of nontraditional players entering the rent-regulated space, including international money. The most common assumption is that we are seeing mainly Chinese investors, but there are many buyers from Israel and South Korea. These investors were initially being very selective, but seem to becoming somewhat less selective.